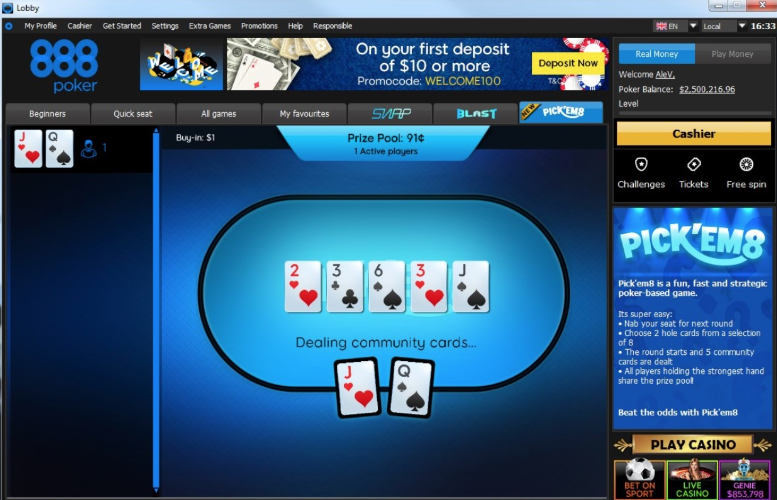 PokerStars brings another great Series of Tournaments. This time, you can enjoy the Winter Series! The Winter Series takes place December 23-January 7 and will host 60 online events. That means a grand total of over $85.000.000 in guarantees throughout that period! There will be more than $40.000.000 in the Winter edition alone! This includes four Main Event tourneys on January 6, each with a different buy-in from $2.20 to $2,100, with combined guarantees of nearly $4.000.000. Win entry to the $2,100 Main Event in minutes via special Spin & Go’s from $2.50 or complete the Challenges to gain entry to a $25,000 freeroll. If you are new at PokerStars, register with us and grab 100% up to $600 Welcome Bonus! Ike Haxton made his biggest score so far in his career! He won the Super High Roller Bowl V and took $3.672.000! 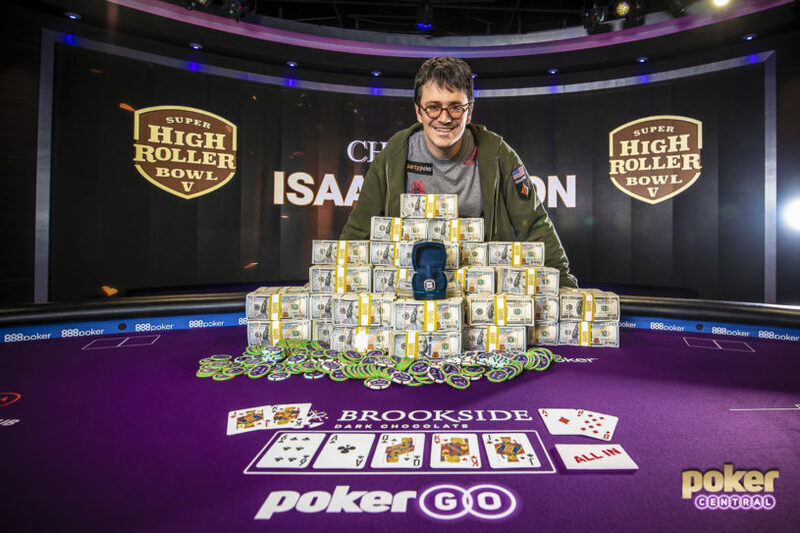 Isaac Haxton made his lifetime score by winning the Super High Roller Bowl V! For those who don’t know, this is a $300K buy-in tournament! The field is one of the hardest, as a lot of World Class players tend to play it! This time there were 36 players chasing for the prestigious title and huge money! As a result of this huge win, the 33-year-old poker pro increased his lifetime live tournament earnings to more than $23.6 million and climbed into 12th place on poker’s all-time money list. partypoker brings us another great series of Multi-Table Tournaments! This time on the menu is a Christmas Freeze! Running from 23rd December to 6th January, enter the festive fun from just $3.30 and play your way to a share of the huge $10M GTD prize pool. Expect a wide-range of freezeout tournament formats, including Mix-Max, 6-Max, 8-Max, and PLO. You can check out the full schedule here. Satellites are running now, so earn a seat at our first ever Christmas Series from just $0.01! If you are new at partypoker, there is a Welcome Bonus waiting for you. Check for more info here. If you are a casino lover, Mansion Casino is a great place to try out your luck! With plenty of promotions, it increases your chances for a win! It’s a Christmass Time and Mansion Casino gives away prizes every day until December 25th! Win up to up to 1 MILLION SPINS every day in the Christmas countdown. Spin the slot machine – you’ll always WIN, then jingle your bells with your snowball of spins. This promo lasts00:01 Saturday 01 December – 23:59 (GMT) Tuesday 25 December 2018. Your weekend is about to get a whole lot better! Just wager $/£/€50 on any of our Roulette games between 8 pm and midnight – and Mansion Casino will give you 5 Golden Chips! The best part? There’s no wagering attached, so any winnings will be all yours! Register with us and take advantage of these great promotions! Freezeouts are back in partypoker lobby! partypoker proves that this poker room is listening what players have to say! They are now offering a huge range of our Power Series tournaments as freezeouts! Freezeout means once you knock out an opponent, they are out for good! With no re-buys available, your opponents will not be able to buy their way back in. Where to find these tournaments? Find your buy-in, and register! With buy-ins from $2.20, the Power Series gives you the chance to play for massive guarantees every day! From our daily schedule, we recommend the Bounty Hunters: progressive knockout tournaments which run every 2 hours, 24 hours a day. Join partypoker with us and take $22 in tickets by depositing just a minimum amount! After great success with MILLIONS Online, partypoker organizes another giant tournament. This time on the menu is the BIG GAME – a tournament with $1M in guarantees. It will take place on December 30th at 18:00 CET. The buy-in for this event is $5.200, but there will be a tone of satellites. Everyone sits down with 1 million chips and play to a blind structure that starts at 2,500/5,000/625a and increases every 16-minutes. Late registration is open until the completion of the 12-level. Making this event even more exclusive is the fact partypoker is making it a freezeout. This means if you win your way in via one of the $109 Phase 1 satellites, you won’t be facing off against opponents who can afford to fire multiple bullets at this $1 million guaranteed prize. partypoker is running plenty of satellites for The Big Game, following on from the successful MILLIONS Online format. Daily $109 buy-in Phase 1 satellites kick off every two hours from 16:00 to 00:00 CET from December 16-29th that feed into the weekly finals. There is no direct buy-in to these finals, which take place at 22:00 CET on December 23rd and 15:00 CET on December 30th. The only way to take part is to win your way in via one of the Phase 1 satellites. You can play as many Phase 1 satellites as you wish but bear in mind you can only take your largest stack through to the final. The finals have 5x $5,200 Big Game seats ADDED to the prize pool, meaning at least $52,000 worth of seats, and therefore value, is to be had in the final satellites. Are you ready to join the party? Register with us and take $22 in free tickets! For all SNG Jackpot lovers, Unibet introduced earlier this month a new format – HEXAPRO. Select from seven different buy-ins and play for a cash pot worth up to 1,000 times your stake. To add extra excitement, you’ll never know how much your game will be multiplied by until its starts and there will never be more than two other players at the table. Buy in’s start at just €1, so this is a poker game anyone can enjoy – and win big on. You could even sit at a table where €100,000 is at stake! Those are fast-paced, 3-handed hyper-turbo Sit & Go games from €1 to €100. Each tournament has a random prize pool, ranging from 1.5 to 1,000 times your buy-in. Don’t forget to win a bunch of tickets for HEXAPRO tournaments this December with Unibet Christmass promotion. And, if you still don’t have an account on Unibet, there is a Welcome Package waiting for you.